British F3 has long been a training ground for the world's best young drivers, and this year has proven no exception with a fine drive by Felipe Nasr to take the championship last weekend at Rockingham. We at Overdrive would like to congratulate Felipe on his success! 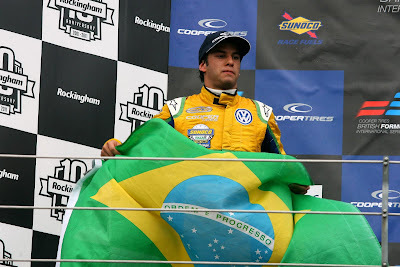 Felipe Nasr has won the 2011 Cooper Tyres British Formula 3 Championship after finishing third in this weekend’s final race at Rockingham. 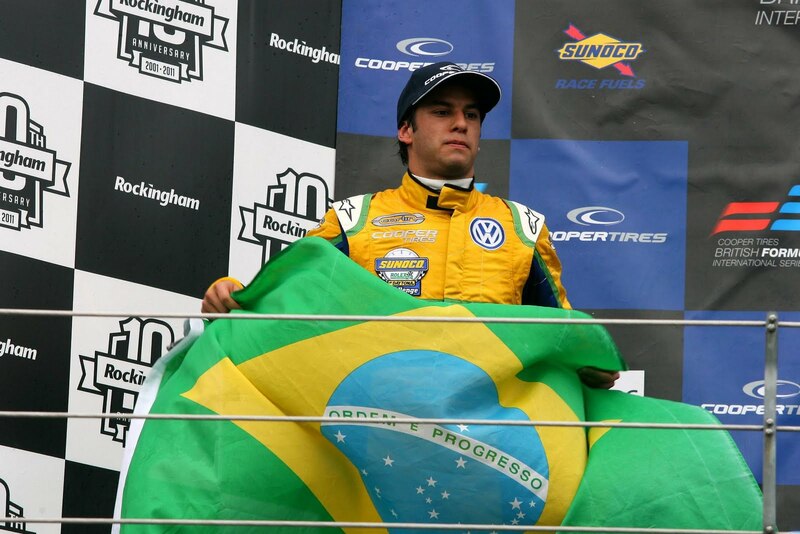 With two rounds left in the 2011 season, the young Brazilian has completed a successive hat trick of championships for British team Carlin and Volkswagen power, following in the tyre tracks of Daniel Ricciardo (2009) and Jean-Eric Vergne (2010). We love the Patriotic Brazilian paint job! The British Formula 3 Championship has a strong record for producing some of the world’s finest single-seater drivers, and Nasr is the 12th Brazilian to win the coveted title. He joins an illustrious list of drivers including Formula 1 stars Ayrton Senna, Emerson Fittipaldi and Nelson Piquet. In addition to claiming overall victory in the championship, Volkswagen power performed strongly throughout the weekend’s three races at Rockingham, scoring seven out of a possible nine podium finishes. 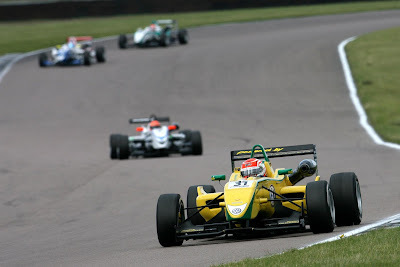 In the weekend’s first race, fellow Brazilian Pietro Fantin scored his first ever race victory in British Formula 3 and was joined on the podium by Carlin duo Rupert Svendson-Cook and Jack Harvey. With a reverse starting grid, Race Two then saw Felipe Nasr claim a hard-fought second place before another podium lock-out for Volkswagen in Race Three. Carlin team mate Kevin Magnussen claimed the race victory ahead of Hitech Racing’s Fantin and Nasr completed the podium with his championship-winning drive in third.